When you’ve been part of the restaurant business, the issue of food safety plays a large part in selecting where you dine out. Those who inspect restaurant businesses want everyone to make food safety their issue. Is Food Safety in Restaurants Really an Issue? estimate because most incidences go unreported. Those with stronger immune systems might experience a day of intestinal discomfort and move on. Often, symptoms are not apparent quickly enough to determine which meal or food was really the culprit. Ultimately, only about 325,000 cases of food borne illness are reported annually. Of those, around 3,000 result in death. What is the Cost of Food Safety? Those 48 million food borne illnesses estimated by the CDC had an estimated cost of $15.5 billion annually. At a local level, the economic burden becomes more visible. Consumers wield their power when they stop supporting restaurants that continue to fail inspections. You can see the impact in lack of economic opportunity within the community. There can be less choices for consumers wanting to dine out. There may not be as many entry level jobs for young adults to cut their teeth on. Other businesses in the area may be affected by reduced foot traffic. By complying with current standards of food safety, food service companies gain trust and, in turn, increase their customer loyalty (Caswell 1998). Certainly the threat of food borne illness lawsuits should be a driving force that helps food companies justify their food safety efforts. Now that we know there is a food safety issue, it is great to know that our Treasure Coast Newspaper is looking out for us. Our local newspaper has been featuring health inspection results lately. Sorted by county, they list those establishments that passed inspection with no violations, then report the violators for that m onth. How helpful for consumers. How motivating for local restaurateurs. I think it is helpful that they also report the improvements noted at a re-inspection. Some are violations noted are clearly severe, like not cooking food to the proper temperature. Other violations seem benign, like failing to sharper the can opener or not documenting required training. How often do you sharpen your can opener at home, after all? 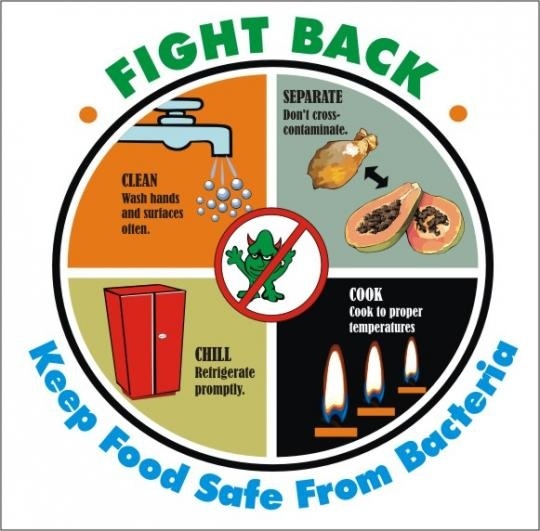 Although seemingly minor, those simple tasks are part of the overall food safety process. Sharp blades help prevent metal shavings from getting in our food. Personally, I am a fan of metal shaving-free food. As one of the organizations offering Food Safety Certification courses for restaurant professionals, I know there are many opportunities for training compliance. You can catch my class the first Monday of every month at the Sunshine Kitchen. You can go here to register. I hope that we can reduce and eventually eliminate the violations related to food safety training. With that handled, our local chefs can go back to making tasty meals for us.